Cypress CHMX-24 is a high performance HDMI Matrix with remote control. 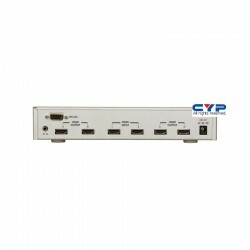 It offers you maximum convenience in HDMI signal distribution when you have multiple HDMI sources and displays to connect together. 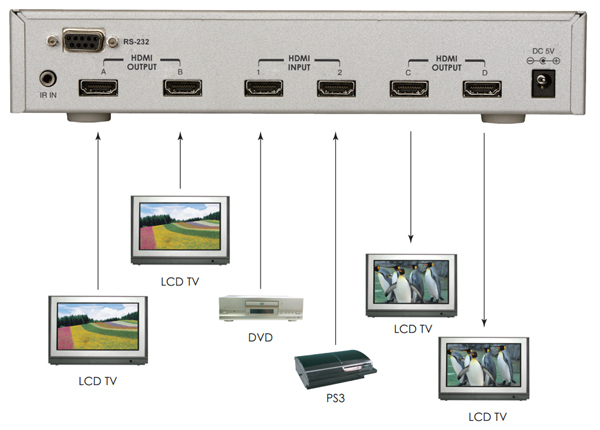 Each of the two HDMI sources can be directed to any one of the four outputs so four displays can show identical or two pairs of different sources at the same time. CHMX-24 provides maximum of 8 possible connection scenarios between sources and displays. 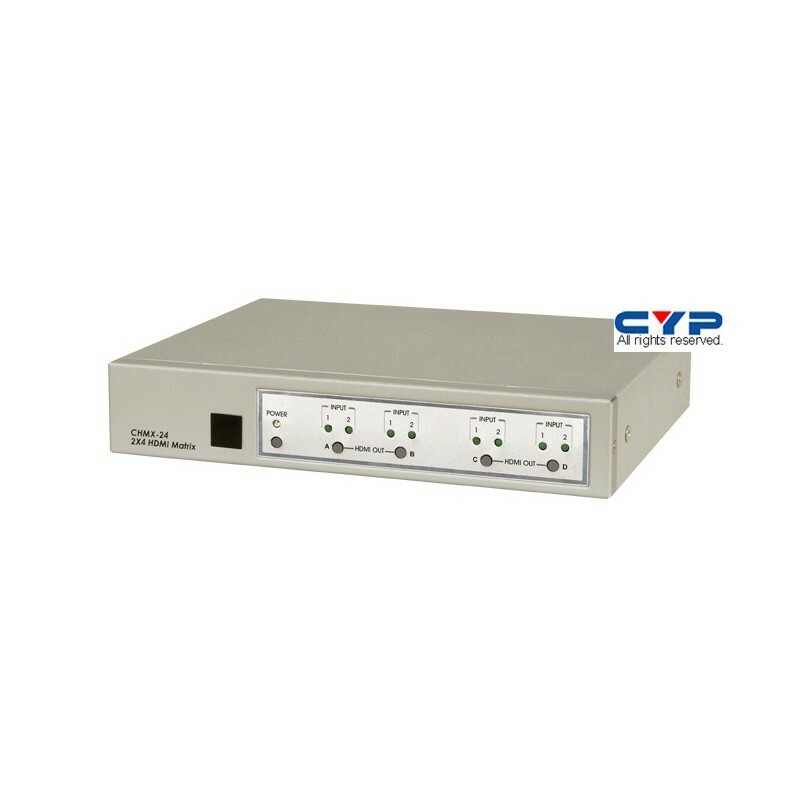 When HDMI signal progresses through CHMX-24, it is re-timed, and level-compensated, so the output is a regenerated brand new HDMI signal that can run for another 25 meters and can be cascaded. HDMI input is compensated, clock / phase adjusted, and jitter eliminated so the output is a well tuned standard HDMI signal. Input source LED indicators on each output select. Ideal for home theater integration, conference room and retail stores.